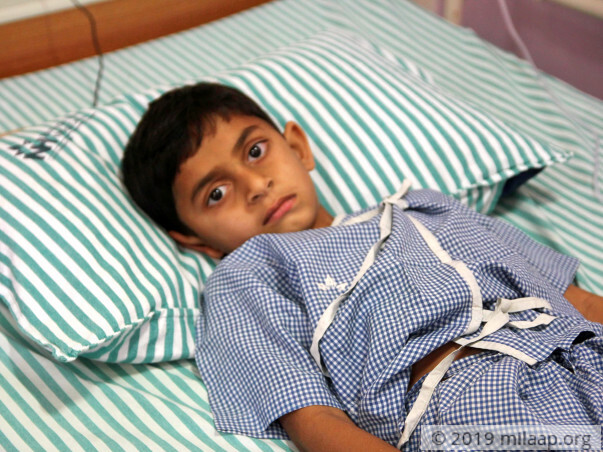 The terrifying thing about Shree Sai’s (6) brain cancer is that there were no signs of illness for a long time until one day he woke up and started vomiting. Even then, he would feel normal for the rest of the day. Sridevi and Uddhav thought that their son just had food poisoning when actually a deadly tumour in his brain was silently killing him. As soon as the cancer was detected, he was rushed for surgery to remove the tumour that was growing in his brain. It saved his life, but only radiation and chemotherapy will ensure that Sai completely beats cancer. One day in August last year, Sai woke up and felt very sick. He started vomiting, and Sridevi thought it was something he’d eaten the previous day. For the rest of the day, Sai was his normal self. Shy by nature, he kept to himself and quietly played. The next morning, however, the same thing happened. When this continued for almost a week, Sridevi took him to a doctor. The news shattered Sridevi and Uddhav as they realized that their young son had to fight a dangerous and fatal disease. While he had their love and support, it was Sai’s little body that had to bear the burden of this battle. 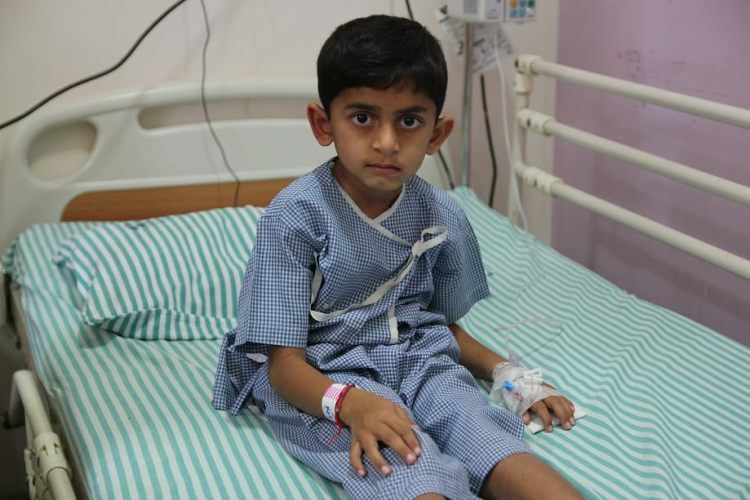 Sai was rushed for a brain surgery after his diagnosis to remove the tumour. While his condition has improved post-surgery, he still has a long road of recovery ahead of him. He needs one month of radiation followed by chemotherapy to finally defeat cancer. 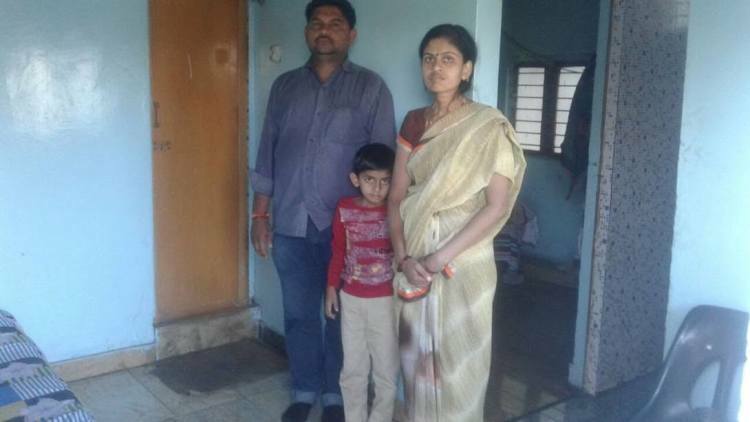 Sridevi and Uddhav are doing all they can to try and continue their son’s treatment, but his medical bills are above and beyond what they can afford now. They’ve already spent 2 lakhs on his treatment. They have a small farm in their hometown in Bidar, Karnataka, and earn just enough to keep the family afloat. 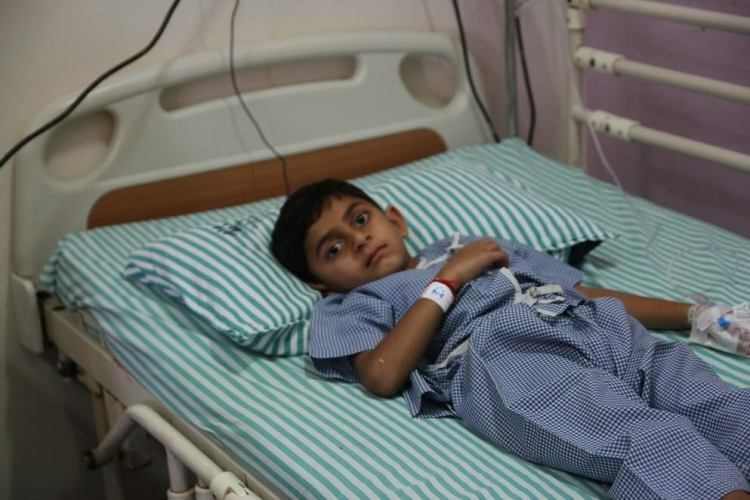 Sai has made it this far after the surgery and can improve with continued treatment. He needs chemotherapy to survive. When most children are in school, Sai is in the hospital, counting down the days to when he can go home again, without cancer threatening to take away his childhood and life. 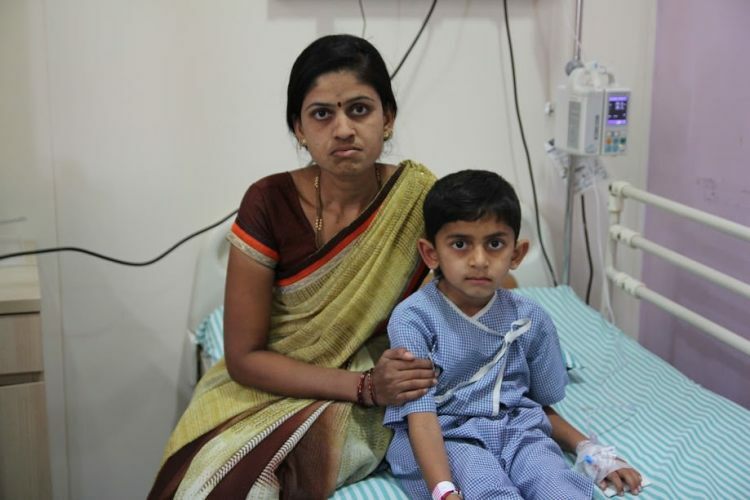 Sai needs radiation and chemotherapy to finally beat cancer, but his parents are struggling to afford the 8 lakhs needed for it. 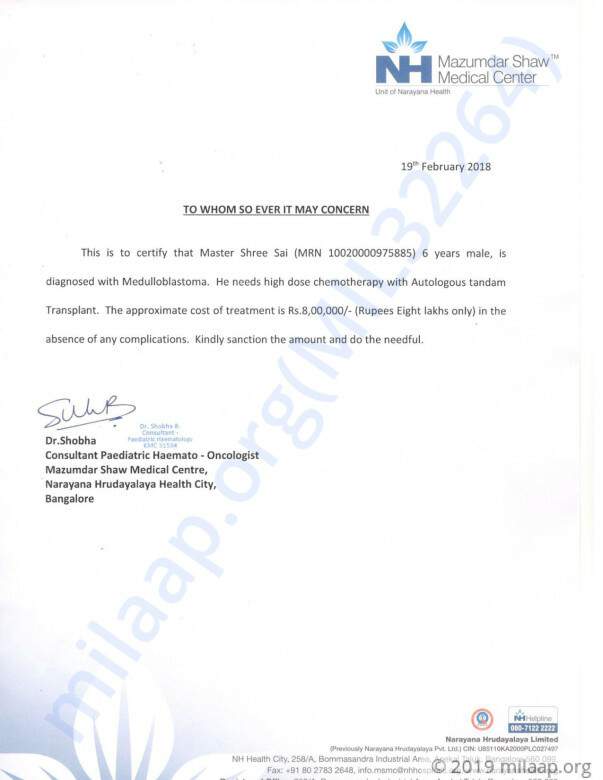 Shree Sai needs your help now to survive cancer. 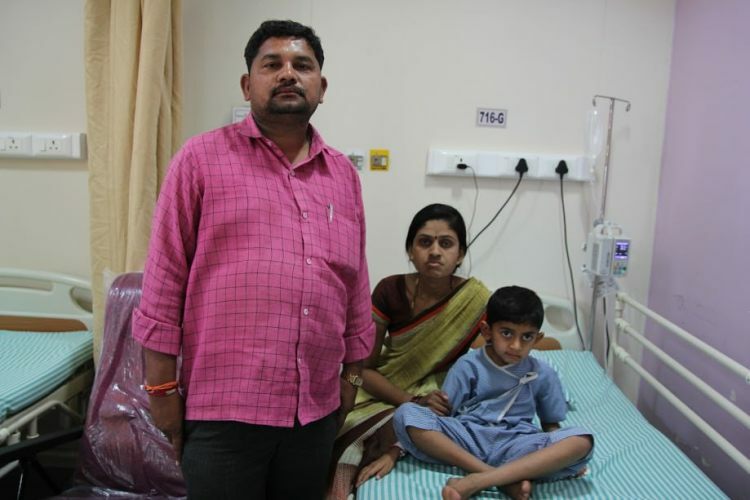 Your support can save Shree Sai’s life. We are grateful for the love and support shown towards Shree sai. He is currently at home after having finished 1 cycle of chemotherapy. Please keep sharing this campaign as we are in need of more funds to continue his treatment. Here is an update on Shree sai. He has completed 1 course of high dose chemotherapy with stem cell rescue. Now he requires to get 3 more courses. He is under medication. We will keep you posted on his condition further. Please continue to support his family and share the link with your friends and family. Here is quick update for you all. He is the child with Medulloblastoma. He has completed radiation. Will require 4 doses of high dose chemotherapy followed by stem cell rescue. He is getting admitted for the 1st cycle today. Please share this campaign as much as possible as the family needs so that there is no hindrance in continuing the treatment.